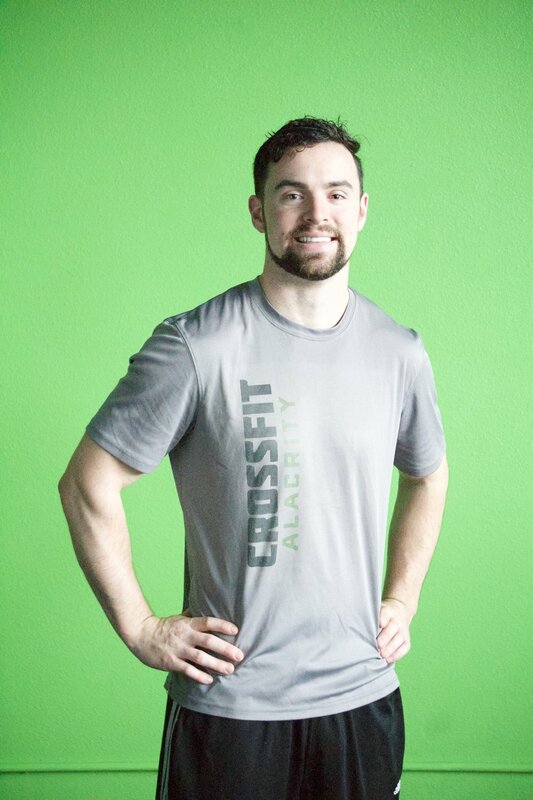 Joining CrossFit Alacrity allowed me to push myself in a way that would help me progress physically and mentally. The relationships I have built have added to my success and kept me accountable. I found that the members are incredibly supportive and the coaches are very knowledgeable, patient, and really cared about my goals. I had never been in a gym setting where people cheered on the other members as they finished the workouts. CrossFit challenges the body and the mind all at once. During every workout, I find myself pushing my body and encouraging my mind to make it through. With each day, I am improving and working on my form. It is exciting to see and feel the difference. I am gaining more confidence in my abilities and am continuously surprised what my body can do. I became a CrossFit coach because I want others to experience this empowering sport and feeling. I am here to help every member reach their full potential, whether I am coaching classes, meeting with a member for personal training, goal setting sessions, or nutrition guidance, I am dedicated to optimizing each person's experience. Hey there! 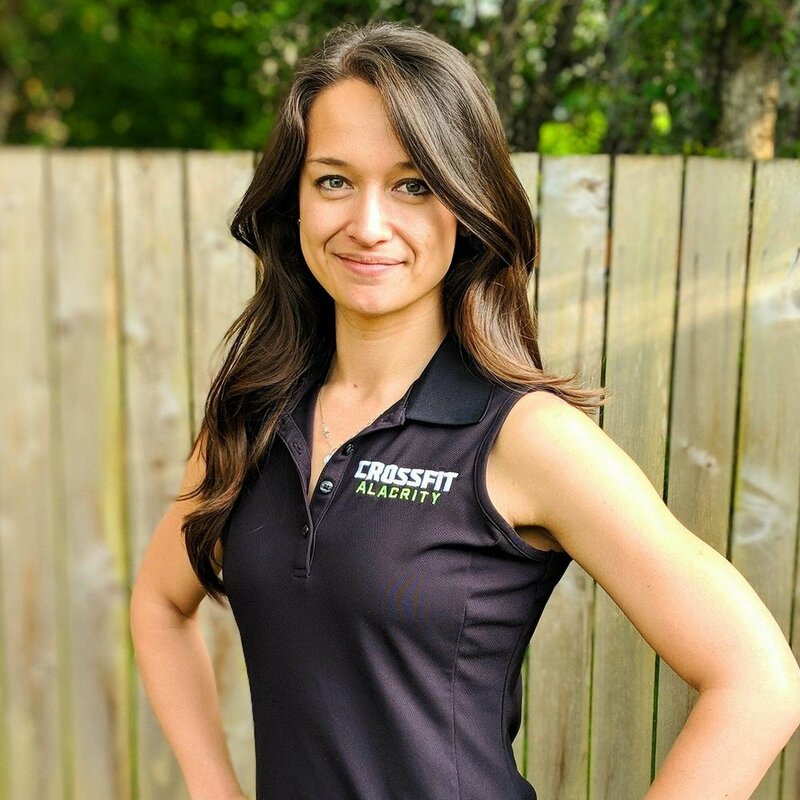 I am Tiffany and I am a trainer at CrossFit Alacrity. Growing up I played sports and danced and I knew I was destined to dance my life away, but early into my college years I got married and started reproducing :). Unfortunately, for me, that put an end to my dreams of dancing. I remember the day I decided to watch a YouTube video about CrossFit and it was the only thing that ever gave me the same feeling of passion, motivation, joy and raw emotions as it does to watch someone dance. It was emotionally moving and I was hooked. The physical changes quickly out-did my years and years in the traditional gym, but I can’t express enough about the emotional benefit I have gained from joining CrossFit in regard to dealing with PMDD, body image issues and social anxiety. I look forward to sharing in your journey of CrossFit and being part of the amazing moments that will come.